Since 2003, Mexico has been in the TOP500, this classification list 2 times a year the ranking of the 500 most powerful computers in the world. In first we have the supercomputer "K Computer", K comes from the japanese word "Kei" which means 10 quadrillion. In the center of the country was created the LANCAD project (Laboratorio Nacional de Computo de Alto Desempeño [National Laboratory of High Performance Computing]) with the contribution of the Universidad Autónoma Metropolitana, Instituto Politécnico Nacional (CINVESTAV), and Universidad Nacional Autónoma de México. 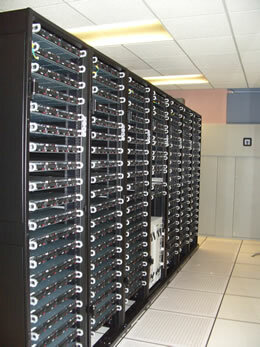 The UNAM host the supercomputer Kan Balam, it was developed by HP and has 1368 AMD 2.6 GHz Opteron Core processors, 3016 Gigabytes of RAM and a 160 terabytes storage, stored in 19 racks, which together, they use an area of 15 to 20 meters square. KanBalam comunications operates through a high speed network with Infiniband technology at 10 gigabits per second. Kan Balam has processing capacity to perform 7,113 trillion arithmetic operations per second and is capable of delivering this capability up to 350 users. 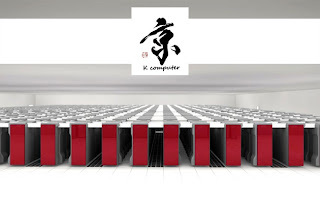 The computer can increase their capacity in the future if necessary since this consists of servers, each with 4 processors. The Aitzaloa cluster consists in 3 main parts. 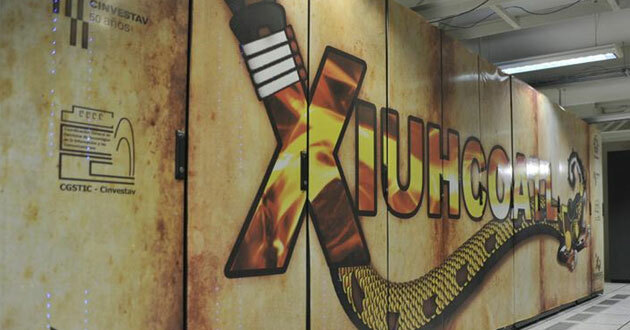 In late January, CINVESTAV present Xiuhcoatl supercomputer, which in Nahuatl means "fire serpent"
It has 3.480 Intel and AMD processors with a capacity of 24.97 teraflops and 7,200 GB of RAM. It has a storage capacity of 45.350 GB hard disk and reaching peak computing capacity would require between 70 and 80 kilowatt hours of power consumption. 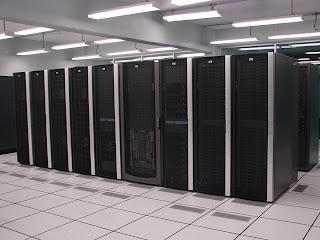 This includes 170 servers supercomputer capable of performing 18 trillion mathematical calculations per second. At U.S. cluster hybrid type, which integrates Intel and AMD processors, as well as graphics processing units contecnología GPGPU (General-Purpose Computation on Graphics Processing Units). The "grid" has a capacity of about 50 Teraflops. Xiuhcoatl, Kan Balam and Aitzaloa totaling 7 000 cores, its are interconnected by a fiber optic network from the Metro IPN to University, to UAM. 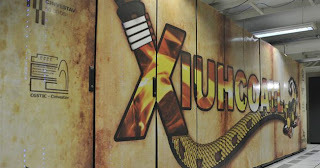 The country is moving in the field of Supercomputers, however, the center are getting all the credit. Will the Northern students able to contribute to the supercomputing? Kan Balam: How it works? Bien; 7 para el lab.